For nearly two decades restaurateur & chef, Lisa Dahl has been enticing Sedona diners with her exquisite Italian cuisine at both Dahl & DiLuca and Cucina Rustica. These days Dahl is rocking the Sedona food scene with her Latin restaurant, Mariposa. Inspired by her travels to Argentina, Uruguay and Chile; Mariposa offers a fresh, seasonal, South American menu cooked in a wood oven and grill. Mariposa has an elegant indoor dining room, an outdoor terrace and a large bar area, but the main attraction, aside from the food, is the stunning view. 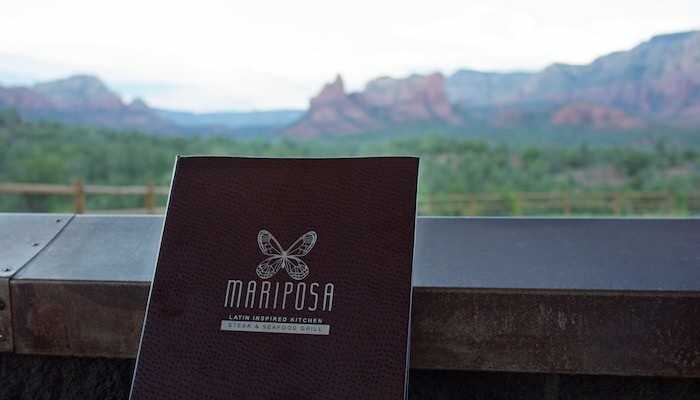 Set on a bluff overlooking the majestic red rocks, Mariposa offers customers the ultimate fine dining experience of delicious food along with breathtaking views. On a recent visit we were treated to a delicious feast. 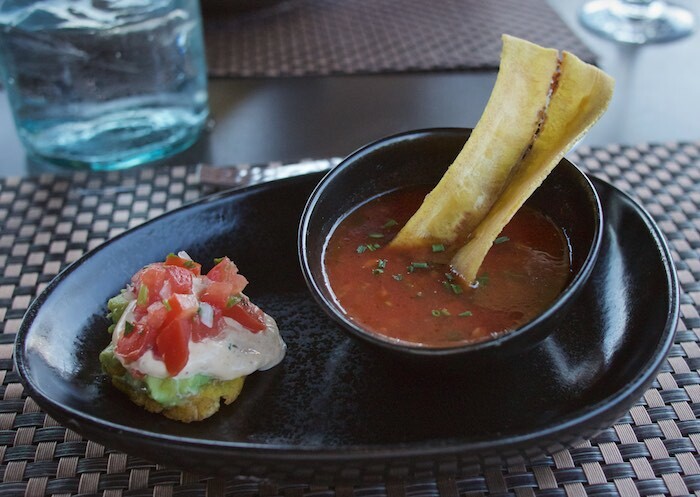 Appetizers included a tangy bowl of gazpacho served with an avocado topped plantain. 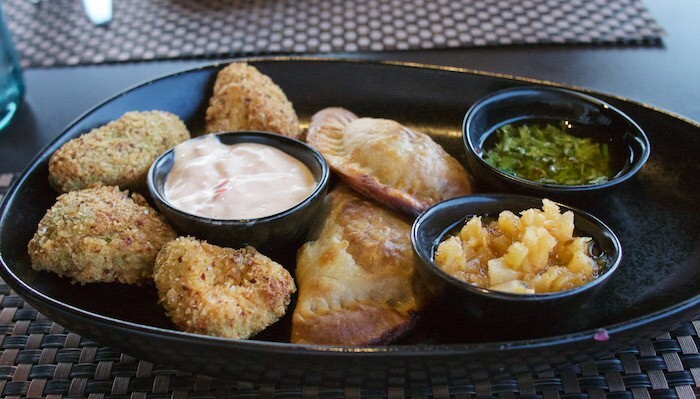 We also received a platter of fried avocado, a first for me, served with a smoky pimento aioli and the most delicious corn & queso empanadas. 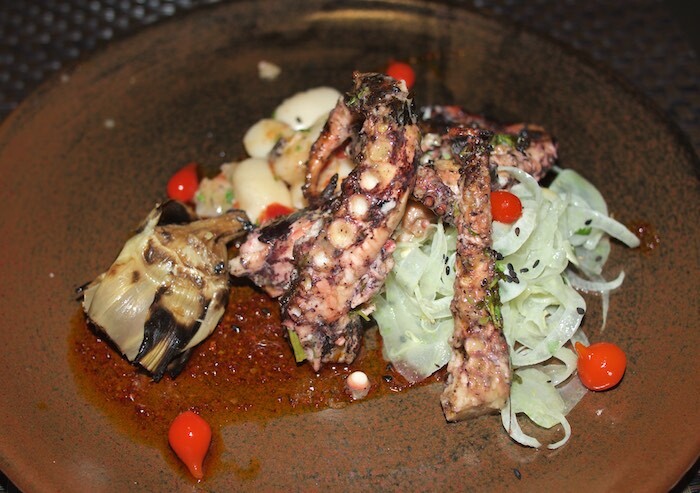 The star of the night was Dahl's signature Pulpo Parilla, a combination of grilled Spanish octopus, butter beans and fennel slaw in a light vinaigrette. The texture was perfect and the taste was to die for. 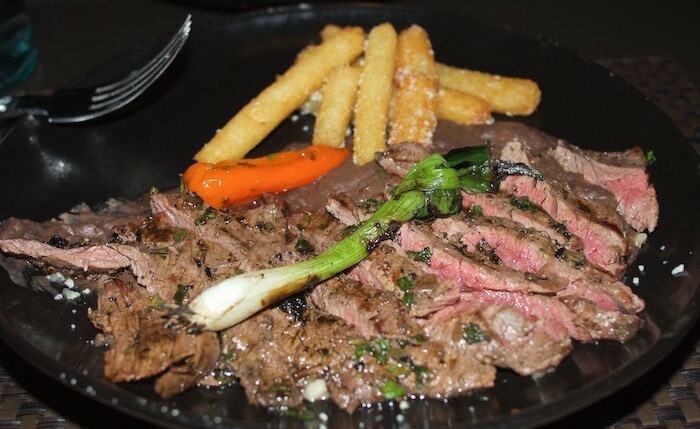 Our entrees included a tender skirt steak marinated in chimichurri and served with delicious yucca fries. 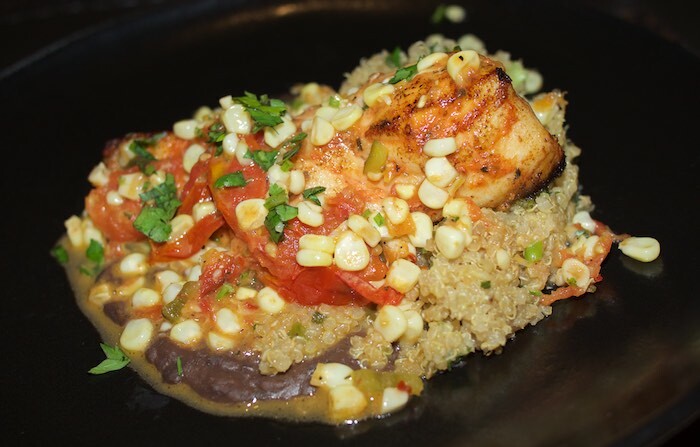 The fish of the day, which was served with roasted tomatoes, charred corn and a quinoa pilaf, was mild tasting with a moist and flaky texture that held up nice to the white wine butter sauce. 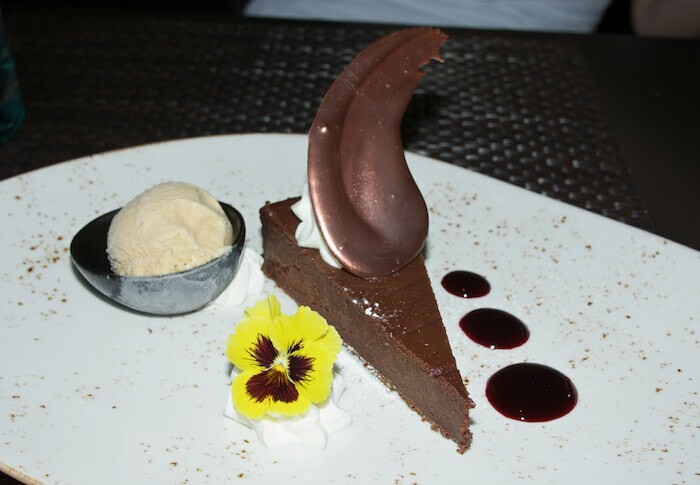 We finished off our meal with a decadent chocolate tort adorned with dulce de leche gelato. 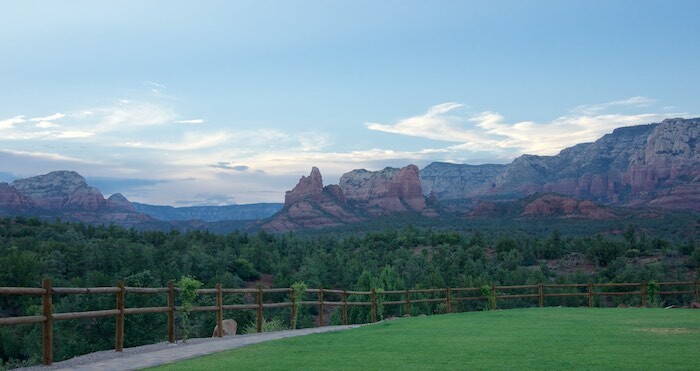 If you find yourself in the Sedona area, I highly recommend making plans for dinner at Mariposa....you won't be disappointed. This experience was provided complimentary all opinions are my own. Looks like lots of tasty dishes on the menu! And that view...gorgeous! Love the red rock in Sedona! Wow, that view is stunning - reason enough (but that food all looks amazing, too)! Beautiful food in a beautiful setting. What more could anyone ask for? That view is gorgeous and I soooo want that chocolate tort!! That is one gorgeous view with dinner!